BEIJING: China on Monday welcomed the joint participation of Pakistan and India in “Peace Mission” anti-terrorism exercise held in Russia under the Shanghai Cooperation Organization (SCO) framework. 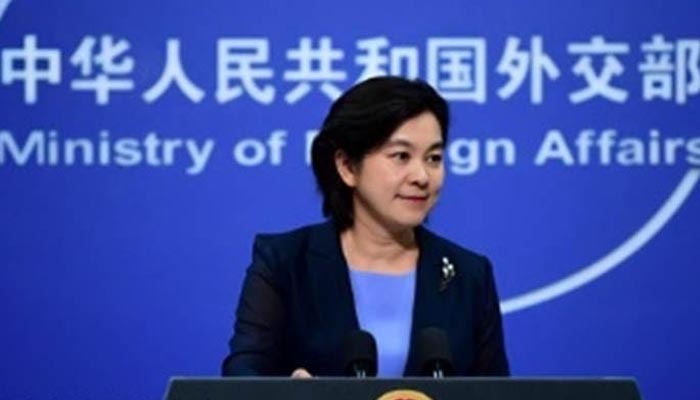 “We welcome the joint participation of India and Pakistan in the anti-terrorism exercise under the SCO framework,” Chinese foreign ministry’s spokesperson Hua Chunying said during her regular press briefing held here. When asked to comment on the statements from the defense ministries of Pakistan and India that they believe the two countries can learn from each other and it provides a unique opportunity for them to exchange experience. She said both India and Pakistan were important countries in South Asia and added, the stability of India-Pakistan relations was of great significance to regional peace and stability and even world peace and development. “We sincerely hope that India and Pakistan will strengthen bilateral and dialogue and cooperation within multilateral mechanisms such as the SCO, improve relations and jointly safeguard regional peace and stability,” she added. It may be mentioned that on August 24, India and Pakistan participated for the first time in the 2018 SCO “Peace Mission” anti-terrorism exercise held in Russia.